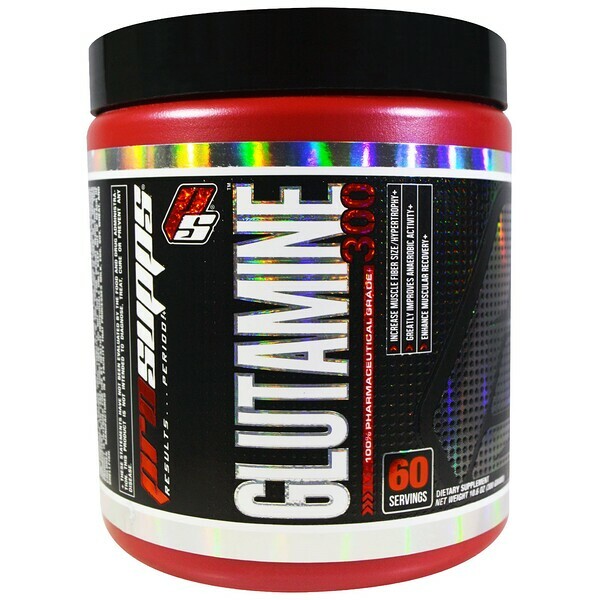 PRPSupps Glutamine300 is 100% pure glutamine. Glutamine is the most abundant amino acid found in the skeletal/muscular system. Glutamine has been proven to enhance exercise performance, promote recovery, reduce muscle-wasting and has also been shown to strengthen the immune system. 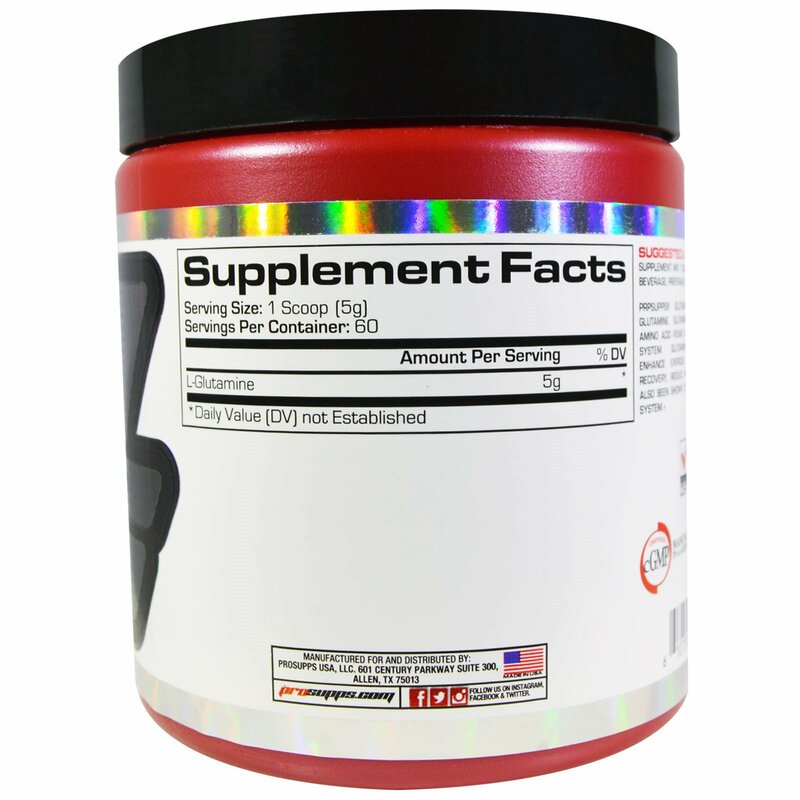 As a dietary supplement, mix 1 scoop with your favorite beverage, preferably prior to exercise. Not for use by individuals under the age of 18 years. Do not use if pregnant or nursing. Consult with a physician or licensed qualified health care professional before using this product if you have, or have a family history of heart disease, thyroid disease, diabetes, high blood pressure, depression or other psychiatric condition, glaucoma, difficulty urinating, prostate enlargement, or seizure disorder. Do not exceed recommended serving. Exceeding recommended serving may cause adverse health effects. Discontinue use and call a physician or licensed qualified health care professional immediately if you experience rapid heartbeat, dizziness, severe headache, shortness of breath or other similar symptoms. Individuals who have a medical condition should consult a licensed health care professional before consuming this product. Do not use this product if you are more than 15 pounds overweight. The consumer assumes total liability if this product is used in a manner inconsistent with label guidelines. Do not use for weight reduction. This product is intended for use by healthy individuals only. Keep out of reach of children.